davesrailpix.com Dave Mewhinney's web site contains hundreds of photos nicely organized by line. Mostly traction lines, but railroad is also represented there. If you are scratch building this site is a must for you. A great reference source. 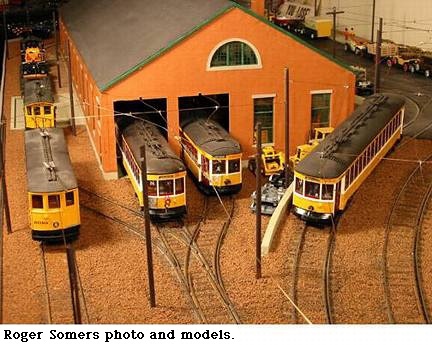 Bay State Society of Model Engineers (BSSME) - Roslindale Club - Boston, Ma. Trolleyworks® - Joseph Saitta Trolley and Electric Traction Books and Photographs - Email only. William Flatt O Scale Traction Sideframes and parts with a Canadian emphasis - Email only. Custom Traxx - George L Huckaby HO, O and 1:50 scale decals. East Penn Traction A page of Trolley Car Plans from Arthur Duncan that can be downloaded (PDF Files). Webmasters, to be listed here please email us your link. You must be a traction related organization, and we reserve to right to restrict any listing we deem inappropriate.